Algeria has joined the list of African countries with its telecom satellite in orbit. The North African country joined the list after its successful launch its first telecom satellite called Alcomsat-1 with the help of China Great Wall Industry Corporation (CGWIC) via a Long March 3B rocket. 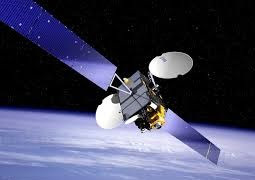 Alcomsat-1 satellite will support television broadcasting as well as broadband communications for remote education, e-government, and other services. a good beginning of space cooperation," between China and Algeria, and that "more space programs are expected to be initiated soon. Alcomsat-1, was designed with 15 years life span, it was built by CGWIC which also provided the launch vehicle and will be operated by Algerian Space Agency (ASAL). The Alcomsat-1 programme was backed by Chinese satellite operator China Satcom who also provided frequency coordination and system definition.